Mystery Mountain Farmstay Resort is located at Beechmont near to Brisbane and it is only 45 minutes away from the popular Surfers Paradise Beach. The resort offers accommodation and facilities for school groups, summer and winter camps, university groups and special interest groups. The accommodation owns 7 dormitories which have different sizes and are part of a beautiful 100 year old home which has modern elements and extensions. 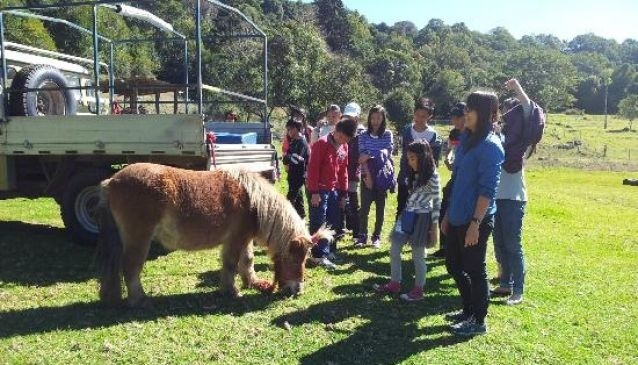 Visiting this resort is very interesting to all especially to the younger population because they do different farmstay activities including traditional morning tea, rainforest walk, art class and they also meet farm animals here and learn how to feed them. Besides, the visitors can enjoy the beautiful pure nature because the farm is close to Lamington National Park and consists of rare subtropical rainforest. The farm offers an excellent opportunity to escape the busy and crowded places.